The registry keeps your computer running, it guides the computer what to do when some event happens. While you use your computer for a long time, a large amount of unwanted and unnecessary information is gathered into the registry, this is due to installed softwares that are presently not in the computer but still there registry are there. The unnecessary registry gradually slow down your computer. A registry cleaner cleans the unwanted storage of registry in your system database and restore the speed and efficiency back to normal. Sometimes, there is a risk of loss of data during registry cleaning. To avoid this, take a backup of the registry for recovery purpose. We have handpicked some free registry cleaner for your system. Take a look. Wise Registry Cleaner is a full featured and stable software that Clean and defragments your Windows registry. This software is recommended as it is less likely to cause a problem as results are displayed in an organized manner. It tunes up your system performance and health, speed up the computer performance. CCleaner is among the most popular free registry cleaner program. It gives you easy options to backup the registry, and it also has a number of other useful tools. The CCleaner works for latest and older versions of Windows; 64-bit Windows versions are also supported. I have tested and just go for Piriform’s CCleaner freeware registry cleaner tool. Comodo System Utilities is just not a free registry cleaning, it has more features than this. It is safe and stable in use. The product is an affordable and topnotch. The System Utilities tool is free, with a much-improved system. It never brick a PC like other PC registry cleaning do. 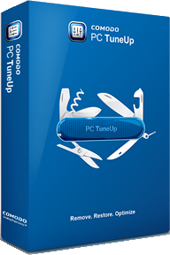 This is a free registry repair software. You can clear and repair registry problems very quickly. Ther are many reasons for registry problems, including incorrect removal of software; references left behind after uninstallation: orphaned start-up programs; or missing or corrupt hardware drivers. It searches for an invalid or obsolete information and gives an error list in the output. It fixes the problem and makes the system stable and faster. By BlueSprig, JetClean is a free registry cleaner. It supports both 32-bit as well as 54-bit versions of Windows 2000, Windows XP, Windows Vista, Windows 7 and Windows 8. JetClean has a well designed interface and can scan the registry quickly. There are two major thinks that I don’t like. One: The number of cookies and the attempt of installing the toolbar. 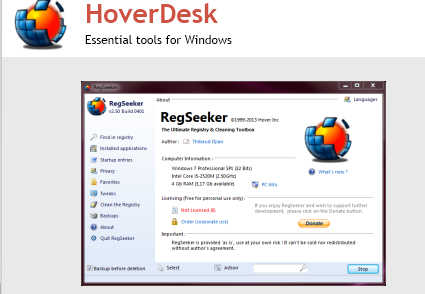 TweakNow RegCleaner performance is remarkable in removing obsolete registry entries. It works with Windows 7, Vista and XP. TweakNow RegCleaner is fast a mid-level cleaner. 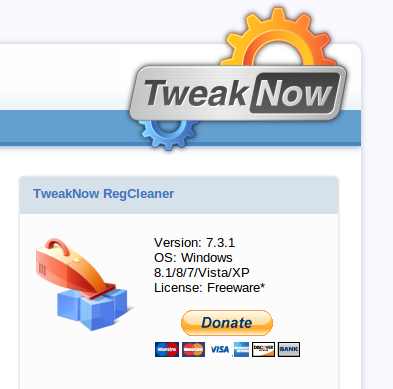 TweakNow RegCleaner also cleans traces from web browsing, compact Google Chrome database files, optimizes Windows settings, clean Windows temporary files, , and optimize network settings. 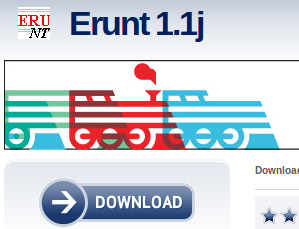 Erunt 1.1 like other registry cleaner, it allows you to take backup and restore your registry but it has something more in it, it optimize and tweak it. It is only compatible with windows XP. This programme has good feedbacks from the users that show it is easy, pretty safe and effective to use. AML Registry Cleaner is a powerful registry cleaner software and offers more added features. like the ability to add your own junk file removal, keyword search, and the ability to see all startup applications. It is competent enough to find junk entries causing problems with the registry. Be aware that this can break the registry. Auslogics Registry Cleaner is an another great and easiest registry cleaners to my knowledge. Works with various versions of windows (64-bit and 32-bit). Auslogics Registry Cleaner colors the severity rating for each category of registry part tat need attention. This makes easy to figure out the problematic area. While downloading it, there will be other programs to download too; you can deselect them if you want. RegSeeker interface and the overall quality is good. Search the registry for histories, favorites, installed apps, startup entries, etc. Apply tweaks to the registry and clean the registry. Works with Windows Vista and XP.